This is why you don’t mess with the volunteers: we’ve been challenged to do something special, and we accepted the challenge. 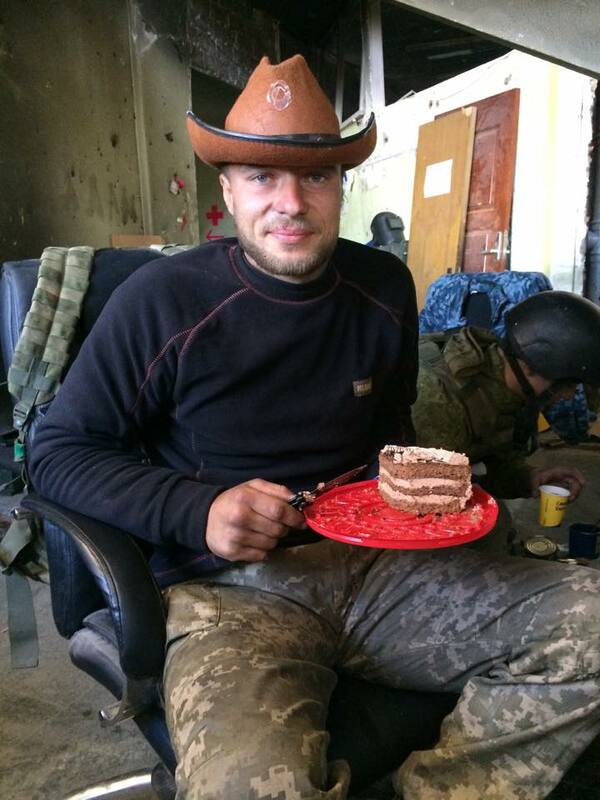 Because Tatiana Rychkova [Editor: a very effective army volunteer from Dnipropetrovsk whose husband died while fighting] has been busy at home with her brigade, and we already had some experience delivering cakes to the ATO area, we have been put in charge of implementing this task [Editor: taking cakes to the cyborgs at Donetsk airport by request]. 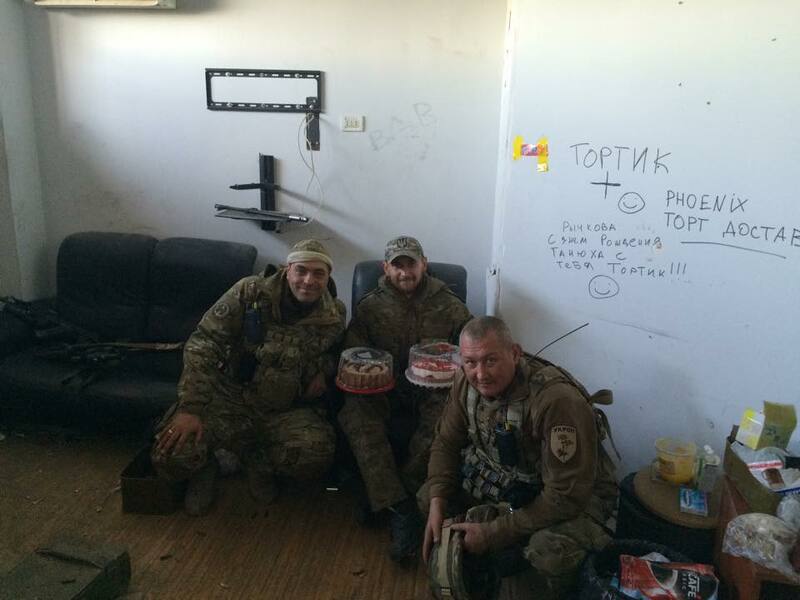 During 24 hours in the airport, side by side with the cyborgs, we delivered a large amount of humanitarian aid (including that our long term project proved very popular – it will be a nice surprise to the separys [separatists]), we were eating the cake, chatting, fighting. We are now back, and they are still standing there. They continue to defend us. And we will continue to support them, and sometimes to indulge them [with treats]. 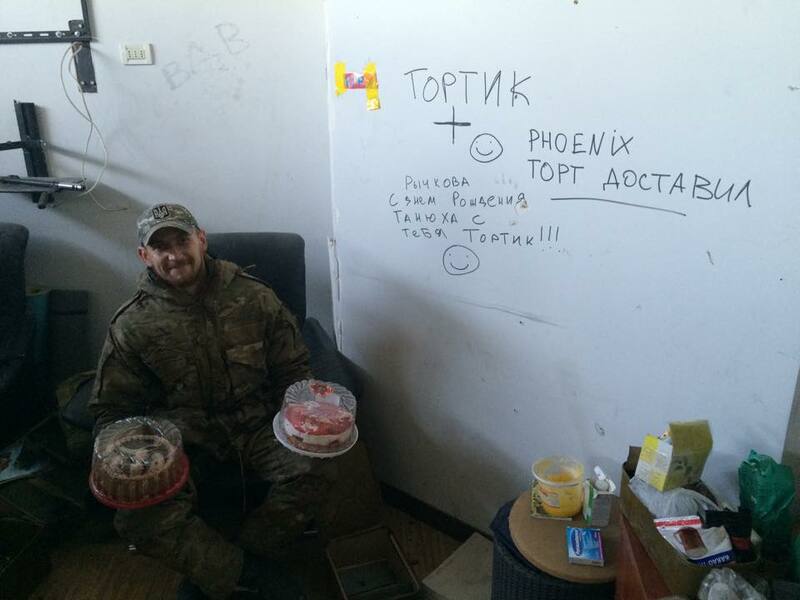 On the wall: “Phoenix delivered cake” and a birthday wish for one of them. 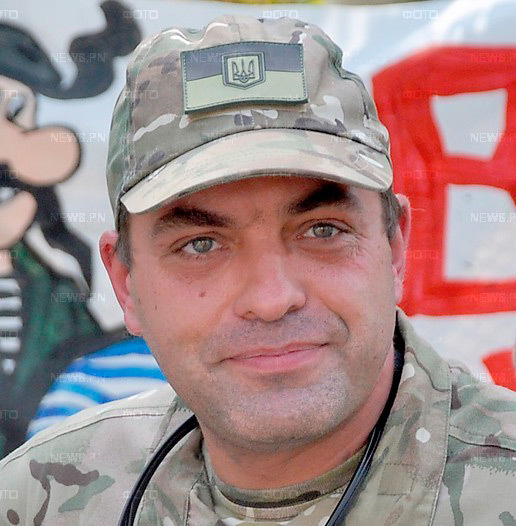 This entry was posted in "Voices" in English, English, Help for ukrainian army, Pictures, South&Eastern Ukraine, War in Donbas and tagged #RussiaInvadedUkraine, #RussiaViolatedCeasefire, Iurii Biriukov, Kyiv tortes, Ukraine, Wings Phoenix. Bookmark the permalink.